Since 1867, Nebraska has lost nearly 35% of its wetland resources, which equates to a loss of over one million acres of wetlands across the state. As of 2005, only 3% of remaining wetlands in Nebraska were owned by state, federal, or other conservation and management organizations. Although the quantity of these wetlands is known, the quality of the remaining, privately owned wetlands is less well understood. As an extension of the U.S. Environmental Protection Agency's (EPA) National Wetland Condition Assessment (NWCA), eleven wetland complexes will be visited, many in recognized Biologically Unique Landscapes, and wetland conditions will be measured in ten individual wetlands in each complex. One wetland in each complex will be what is considered the âreference standardâ in terms of condition for wetlands in each complex, which provides a reference point to which other wetlands in that complex are compared. The data collection methods conform to those developed by the EPA, in which three levels of assessment are used to quantify wetland condition including landscape assessment, intensive on-site assessment focusing on vegetative, soil, and hydrologic characteristics and amphibian presence, and a rapid assessment method (USA-RAM) developed by the EPA. 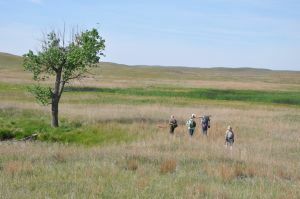 To quantify the condition of important wetland resources in Nebraska and aid in the development of wetland-specific, rapid assessment methods and state-wide wetland management strategies. The knowledge gained will be important to the management of our wetland resources in Nebraska, and nationally. Data collection began in April 2011. In the spring of 2011 and 2012, anuran call surveys were conducted to determine amphibian presence in 50 wetlands located in six wetland complexes (Eastern saline, Missouri River, Central Platte River, Cherry County, Elkhorn River headwaters, and Rainwater Basins). During the summer of 2011, researchers conducted assessments at 12 wetland sites associated with the EPA's National Wetland Condition Assessment. In addition, during the summers of 2011â2013 researchers conducted wetland condition assessments at 109 wetland sites located across Nebraska. 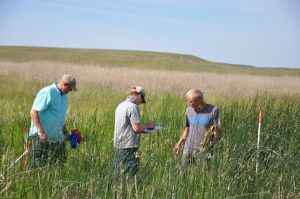 Using data collected in 2011â2012, a Nebraska specific wetland rapid assessment method (NeWRAM) was developed and tested at 40 sites during 2013. Initial results indicate that NeWRAM is an effective method for measuring wetland condition. Our analyses of data, and final report to the U.S. EPA are nearing completion.